(1): (a.) Fitted to excite wonder; wonderful; marvelous. (2): (a.) Having qualities to excite wonder united with approbation; deserving the highest praise; most excellent; — used of persons or things. 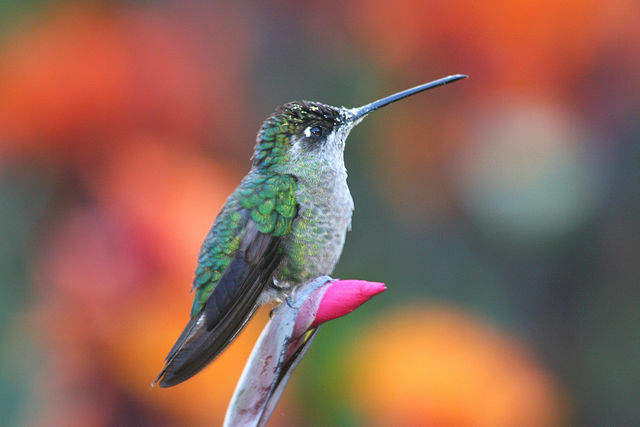 The Admirable Hummingbird or Talamanca hummingbird (Eugenes spectabilis) is a large hummingbird. Some taxonomic authorities, such as the International Ornithological Committee, split the magnificent hummingbird into two species, in which case the nominate fulgens is renamed Rivoli’s hummingbird, and spectabilis is named the admirable hummingbird. Other taxonomic authorities have not recognized the split. 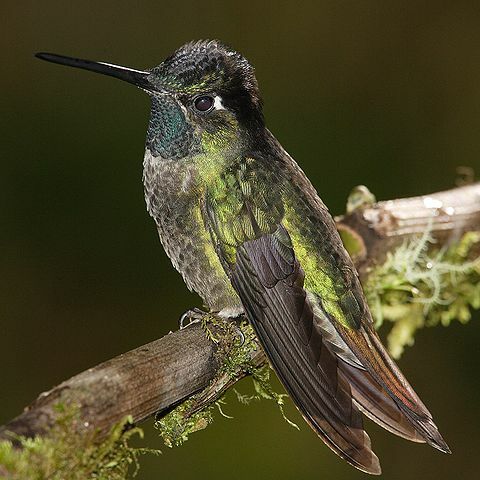 The admirable hummingbird’s range is Costa Rica to Panama. Member of the Trochilidae – Hummingbirds Family. 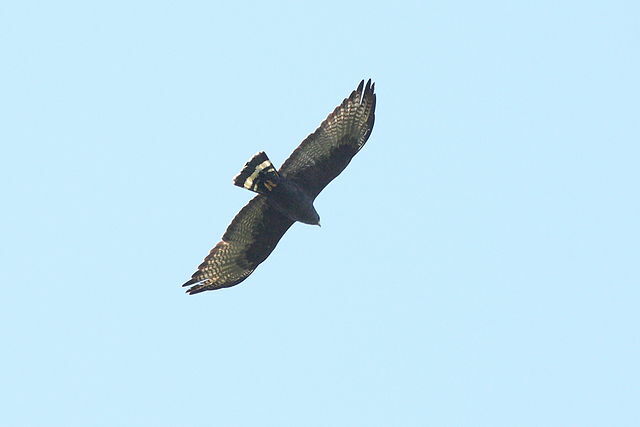 The Zone-tailed Hawk (Buteo albonotatus) is a medium-sized hawk of warm, dry parts of the Americas. It is somewhat similar in plumage and flight style to a common scavenger, the turkey vulture, and may benefit from being able to blend into groups of vultures. It feeds on small vertebrates of all kinds (other than fish), including various small mammals and birds. 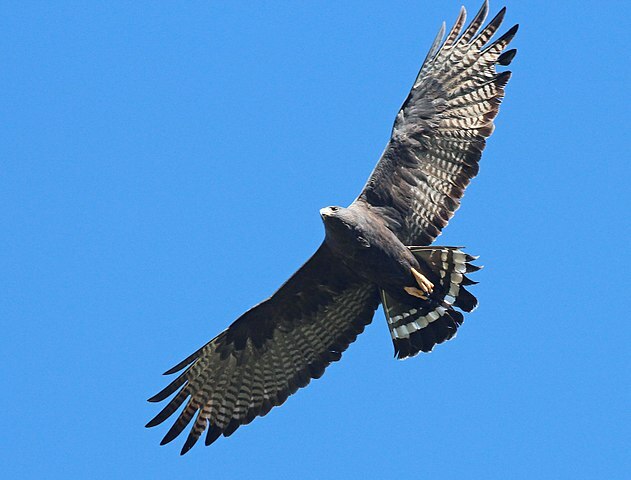 Zone-tailed hawks range from parts of southern Arizona, New Mexico, and western Texas almost throughout inland Mexico and the central portions of Central America down into eastern Colombia, Ecuador and, more sporadically, into Peru, southern Brazil, Paraguay, Bolivia, and northern Argentina. 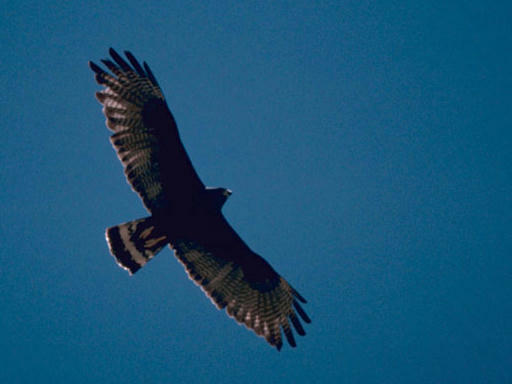 Zone-tailed hawks can adapt to various habitats across their broad range, including both closed and open ones and wet and dry ones. Often, the largest numbers are found in rocky areas with access to water. They often reside in coniferous or pine-oak forests as well as timbered canyonland, hilly riverine woods, dry open boscage and scrub, humid forests and overgrown marshes. 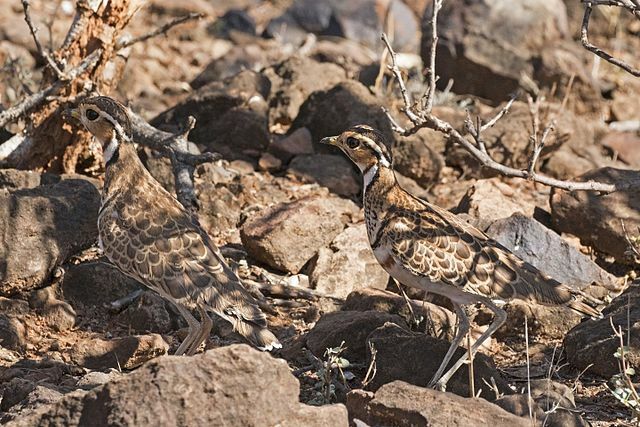 They may forage over ranches and even semi-desert, but always need at least scattered tree thickets for nesting. 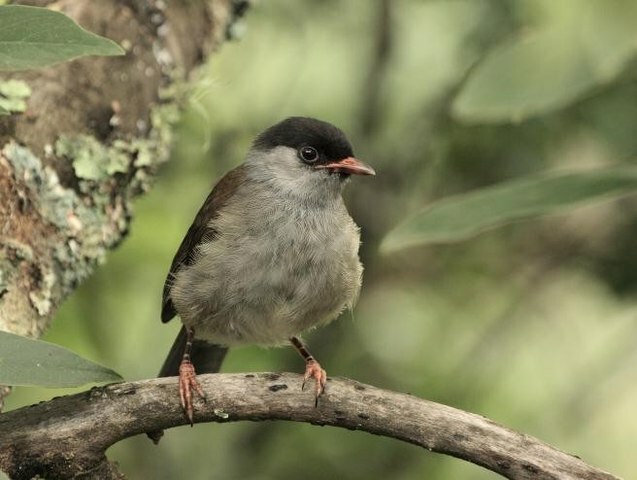 They may be distributed in elevation from sea-level to 3,000 m (9,800 ft), though are mainly found below 1,500 m (4,900 ft) in the north and below 500 m (1,600 ft) in the southern reaches of the breeding range. 3. A chain; a link; a bond of connection; as the yoke of marriage. 4. A couple; a pair; as a yoke of oxen. My yoke is easy. Mat 11. 1. To put a yoke on; to join in a yoke; as, to yoke oxen, or a pair of oxen. 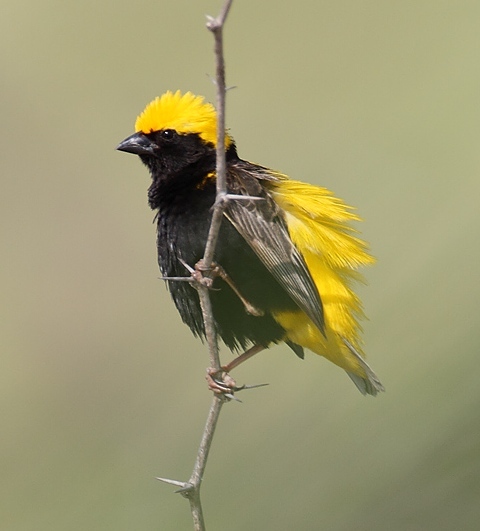 The yellow-crowned bishop (Euplectes afer) is a species of passerine bird in the family Ploceidae native to Africa south of the Sahara. 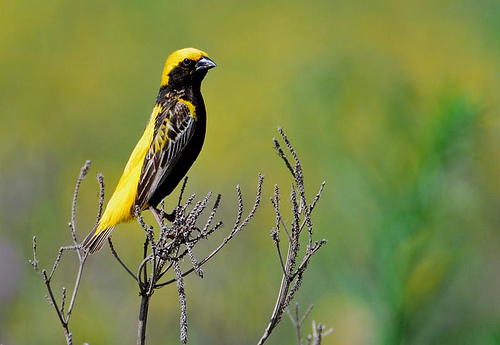 It is highly sexually dimorphic in its breeding season, during which the male adopts a distinctive yellow and black plumage, contrasting with the female’s predominantly brown coloration. 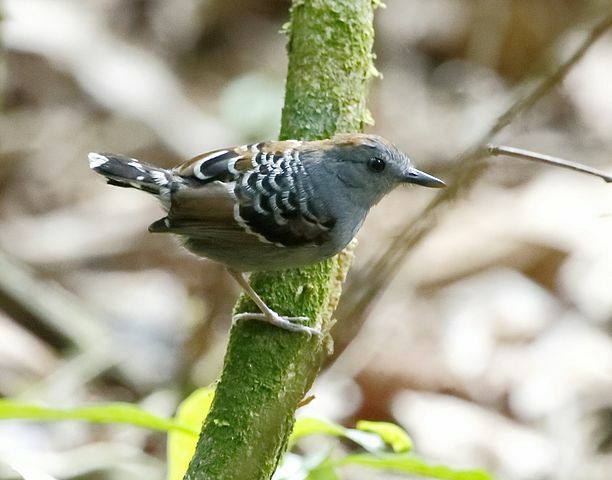 Three subspecies are recognised. 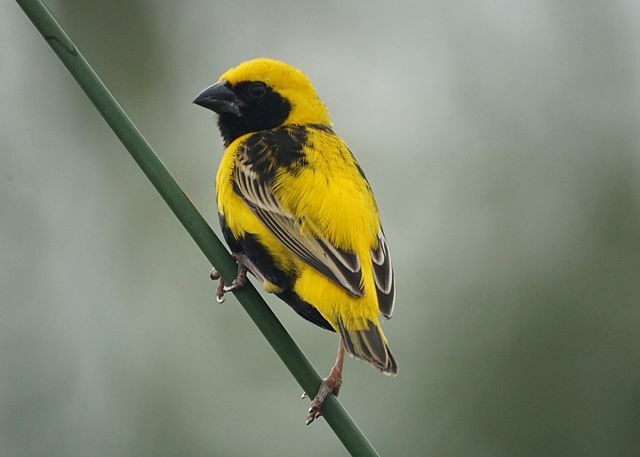 The yellow-crowned bishop is native to the African countries of: Angola, Benin, Botswana, Burkina Faso, Cameroon, Central African Republic, Chad, Republic of the Congo, Democratic Republic of the Congo, Ivory Coast, Ethiopia, Gabon, Gambia, Ghana, Guinea, Guinea-Bissau, Kenya, Lesotho, Liberia, Mali, Mauritania, Mozambique, Namibia, Niger, Nigeria, Senegal, Sierra Leone, South Africa, Sudan, Tanzania, Togo, Uganda, Zambia, and Zimbabwe. It has been introduced in the following countries: Jamaica, Japan, Portugal, Spain, Puerto Rico, and Venezuela. It prefers habitats such as grasslands, vleis, and pans. It likes wheat and sorghum fields, and weedy vegetation along wetlands. 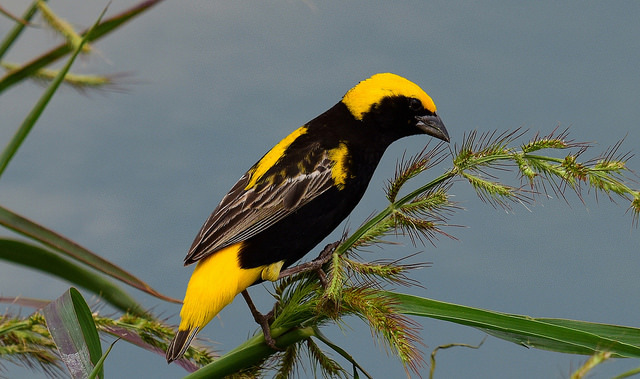 The yellow-crowned bishop eats insects, grain, and seeds. 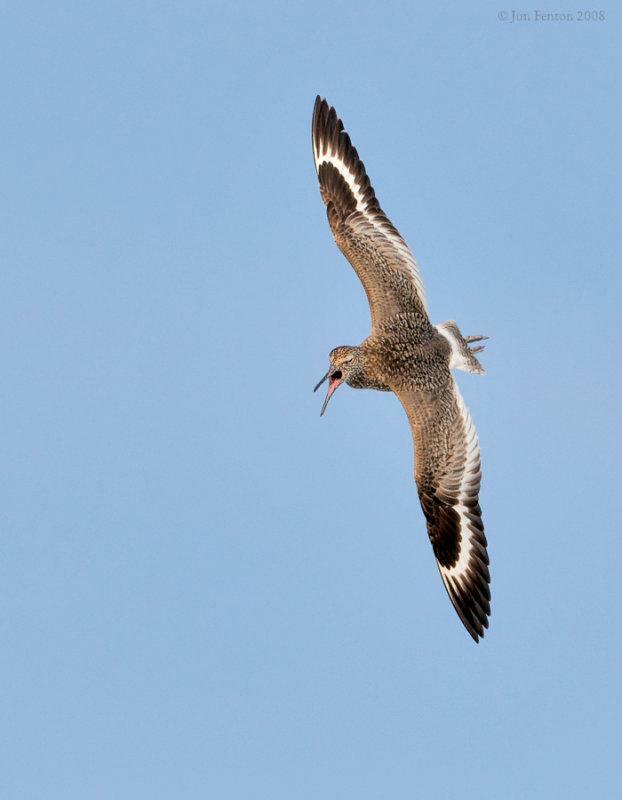 It lives in flocks with both males and females. 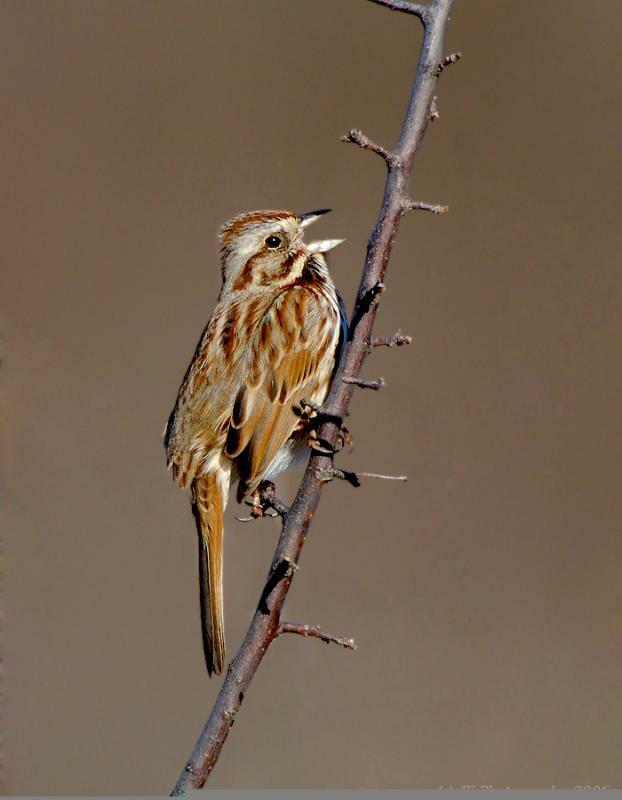 In non-breeding seasons the flocks may contain weavers and sparrows. The call is a “high-pitched, rasping, buzzing swizzling, somewhat insect-like: zzzzzzz, zzit, zzit, zzzz”. 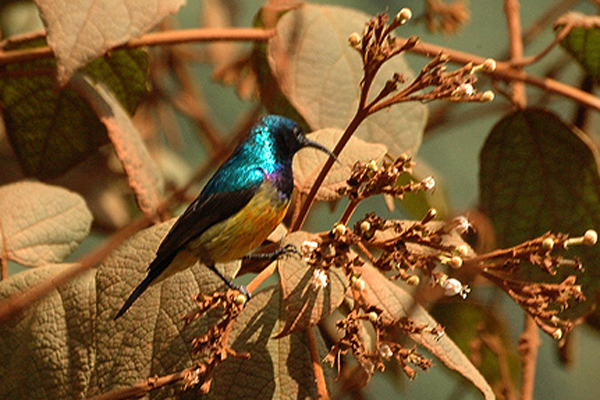 The Variable Sunbird (or yellow-bellied sunbird), Cinnyris venustus (formerly Nectarinia venusta), is a sunbird. 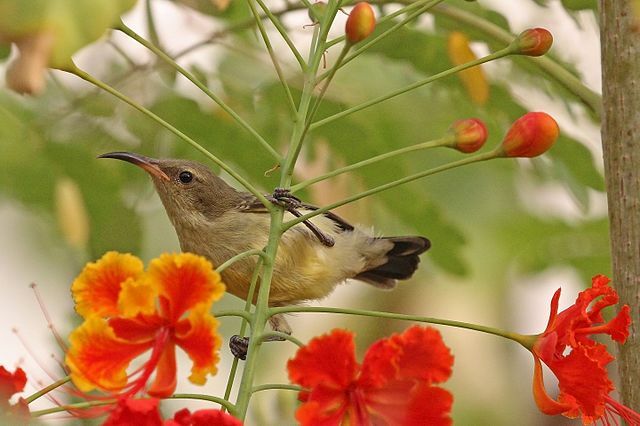 The sunbirds are a group of small Old World passerine birds which feed largely on nectar, although they will also take insects, especially when feeding young. Flight is fast and direct on their short wings. 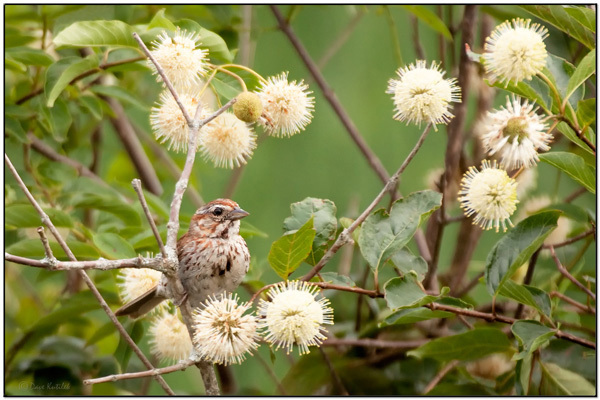 Most species can take nectar by hovering like a hummingbird, but usually perch to feed most of the time. The variable sunbird is a fairly common resident breeder in equatorial Africa. 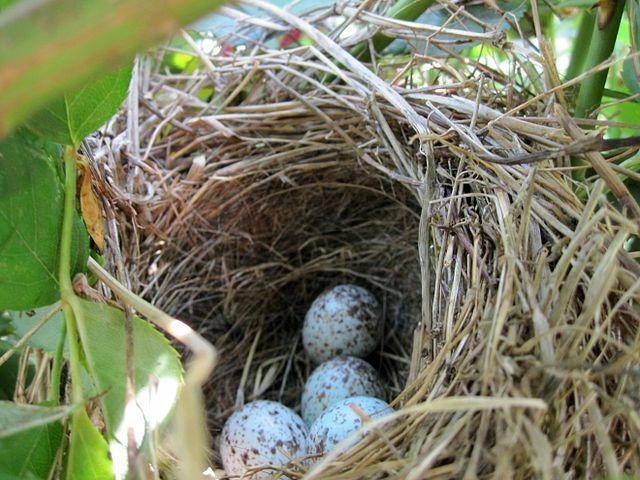 Two eggs are laid in a suspended nest in a tree. This species is found in open woodland and cultivation. 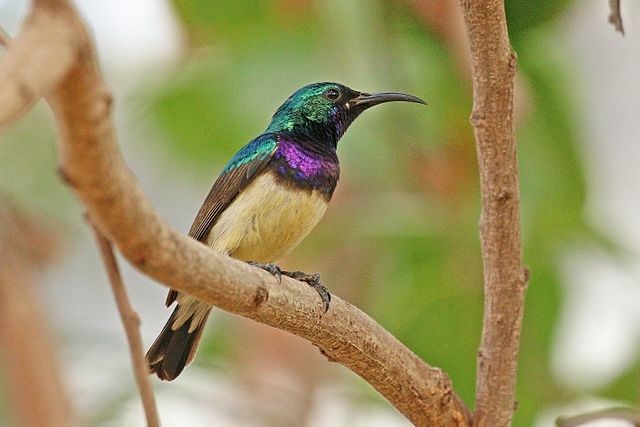 Variable sunbirds are small, only 10 cm long. They have medium-length thin down-curved bills and brush-tipped tubular tongues, both adaptations to their nectar feeding from their Creator. Col_1:22 (a) This word has a very interesting meaning for the Christian. It means that there will be no final examinations at the end of the journey. Our Lord JESUS is so effective in His work in the soul that the person is completely prepared in this life for the entrance into GOD’s presence. The Christian does not get an examination, when he dies, to see where he is going. That point is settled the moment JESUS CHRIST becomes the Lord and the Saviour of the believer. 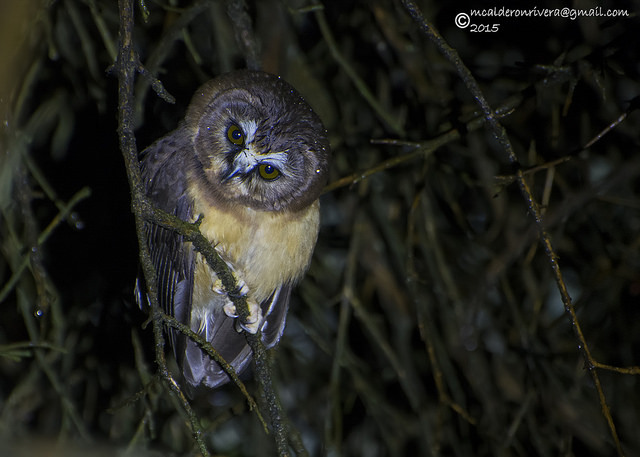 The unspotted saw-whet owl (Aegolius ridgwayi) is a small owl. 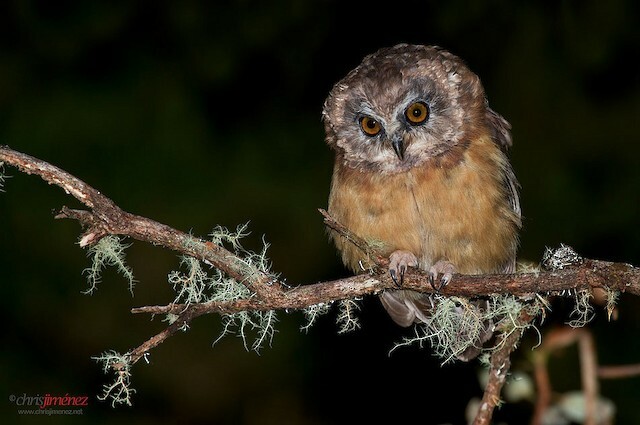 It is a resident breeder in the highlands of Central America from southern Mexico south to western Panama, mainly above 2500 m. it has occasionally been considered conspecific with the northern saw-whet owl. 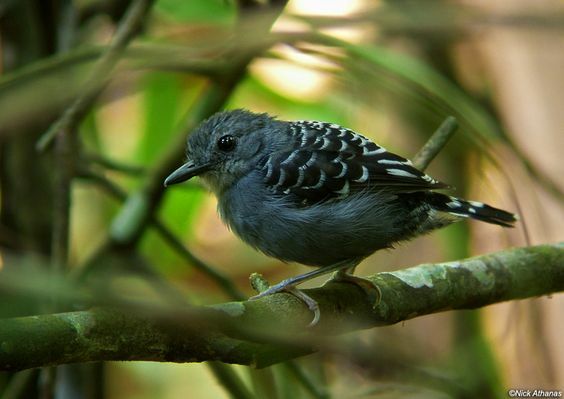 This nocturnal bird breeds in open mountain forests, in both the cloud forest and the higher oak woodland, laying its eggs in a tree hole. It takes rodents, shrews and other small mammals as its main prey, but will also feed on birds, bats and insects. The unspotted saw-whet owl is a small, dumpy, short-tailed and broad-winged owl, 18 cm long and weighing 80 g. It is dark brown above with white markings on the wings. 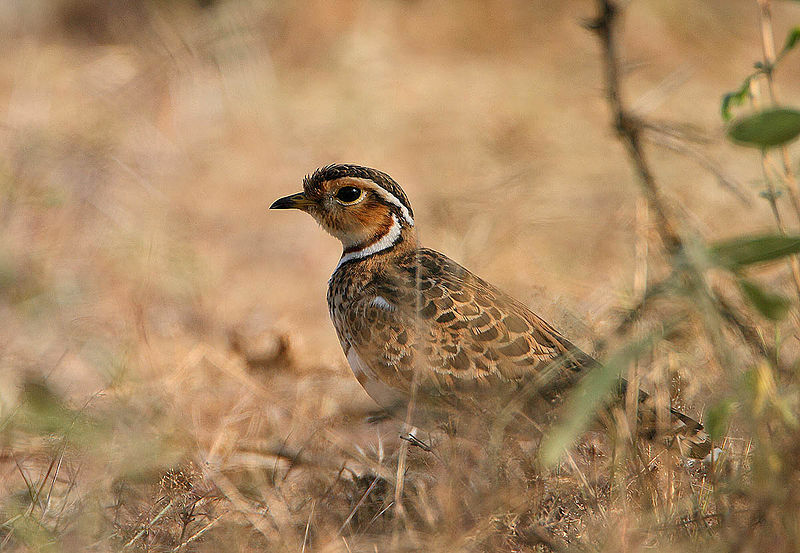 The underparts are unstreaked buff, becoming darker on the upper chest and facial disc. The head is large, with yellow eyes and a white-edged facial disc. The flight is fluttery and agile. The voice of the unspotted saw-whet owl is a series of rhythmic toots. 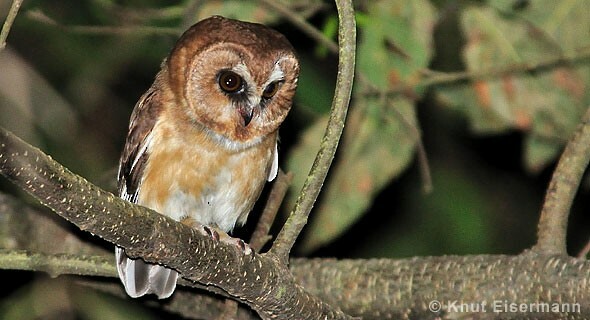 Reports of this owl at lower altitudes are invariably due to the extremely similar call of an Anotheca tree frog. 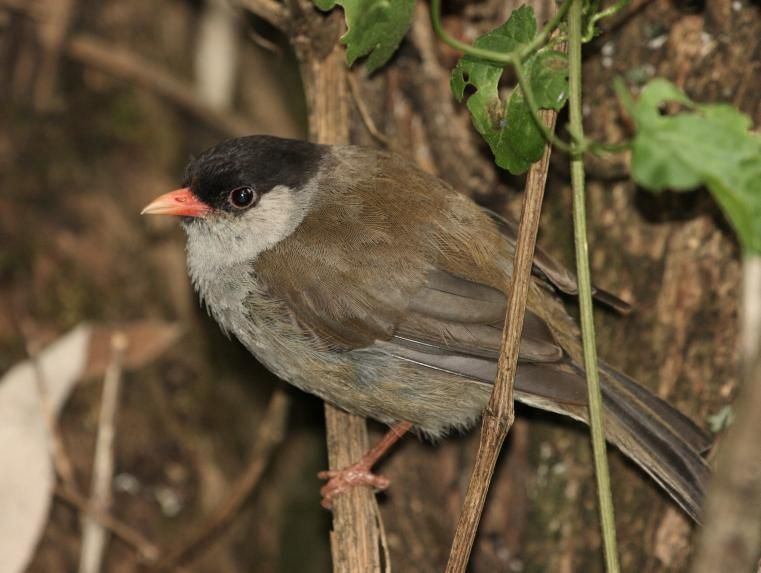 The scientific species name is for the American ornithologist Robert Ridgway. Jam_1:27 (b) This is a picture of the defilement which the Christian may encounter during his day’s duties as he mingles and mixes in a world filled with sin. The Lord would have us guard our lives daily lest we be contaminated by the evils that surround us. (c) The threes of the Bible represent triads of completeness. Sometimes it is a triad of good, and sometimes of evil. – the Trinity of Heaven is the Father, the Son and the Holy Spirit. – the trinity of evil is the devil, the antichrist and the false prophet. – the trinity of blessing is grace, mercy and peace. – the trinity of wickedness is the world, the flesh and the devil. It is interesting to note that the books of first and second Thessalonians are built largely around three-fold statements. 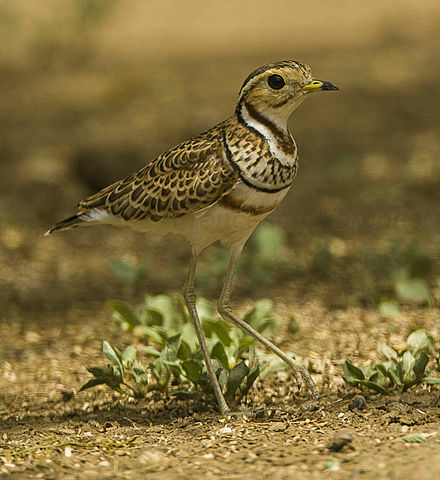 The Tree-banded Courser (Rhinoptilus cinctus) is a species of bird in the Glareolidae family. It is found in Angola, Botswana, Ethiopia, Kenya, Namibia, Rwanda, Somalia, South Africa, South Sudan, Tanzania, Uganda, Zambia, and Zimbabwe. 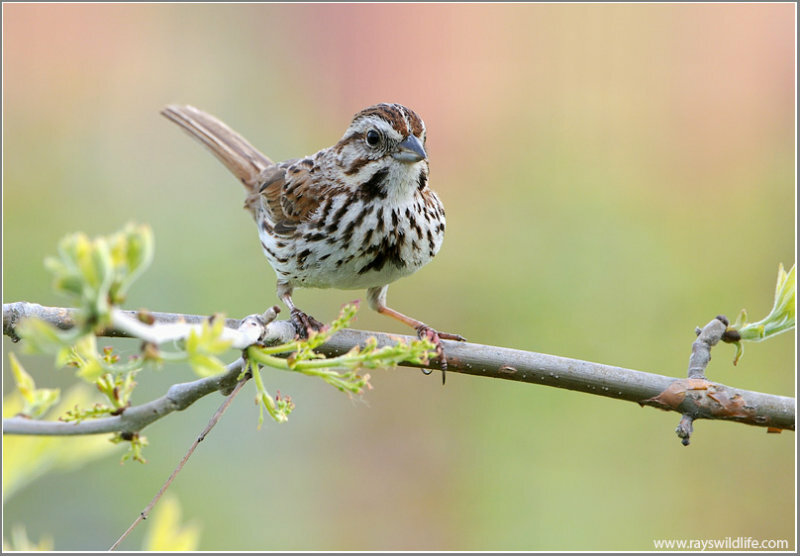 The sparrow species derives it name from its colorful repertoire of songs. Enthusiasts report that one of the songs heard often in suburban locations closely resembles the opening four notes of Ludwig van Beethoven’s Symphony No. 5. 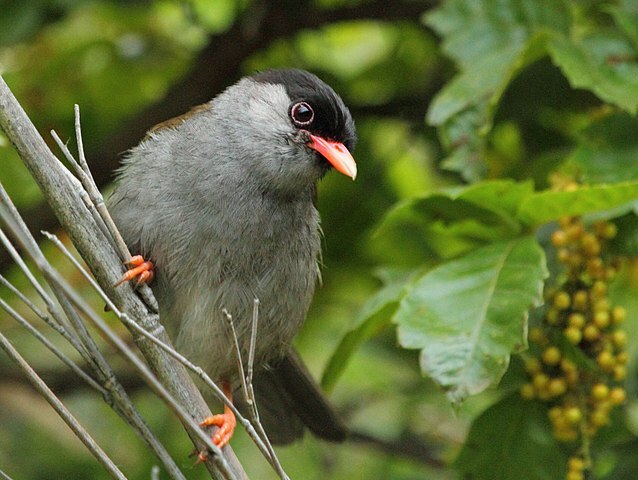 The male uses a fairly complex song to declare ownership of its territory and attract females. 1. A large mass of stony matter, usually compounded of two or more simple minerals, either bedded in the earth or resting on its surface. Sometimes rocks compose the principal part of huge mountains; sometimes hugh rocks lie on the surface of the earth, in detached blocks or masses. Under this term, mineralogists class all mineral substances, coal, gypsum, salt, &c.
2. In Scripture, figuratively, defense; means of safety; protection; strength; asylum. The Lord is my rock. 2 Sam 22. 3. Firmness; a firm or immovable foundation. Psa 28. 4. A species of vulture or condor. 5. A fabulous bird in the Eastern tales. 1. To move backward and forward, as a body resting on a foundation; as, to rock a cradle; to rock a chair; to rock a mountain. It differs from shake, as denoting a slower and more uniform motion, or larger movements. It differs from swing, which expresses a vibratory motion of something suspended. A rising earthquake rock’d the ground. 2. To move backwards and forwards in a cradle, chair, &c.; as, to rock a child to sleep. 3. To lull to quiet. ROCK, v.i. To be moved backwards and forwards; to reel. The rocking town supplants their footsteps. 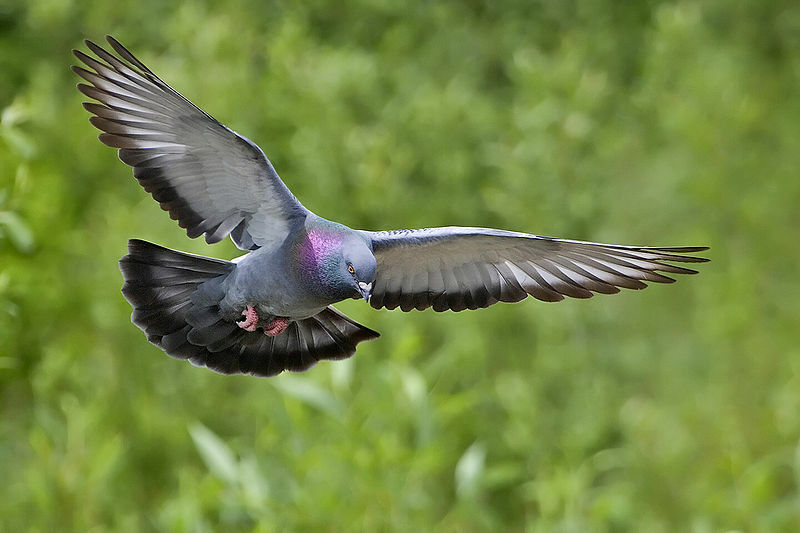 The Rock Dove or Rock Pigeon (Columba livia) is a member of the bird family Columbidae (doves and pigeons). In common usage, this bird is often simply referred to as the “pigeon”. The species include the domestic Pigeon, including the Fancy Pigeon. 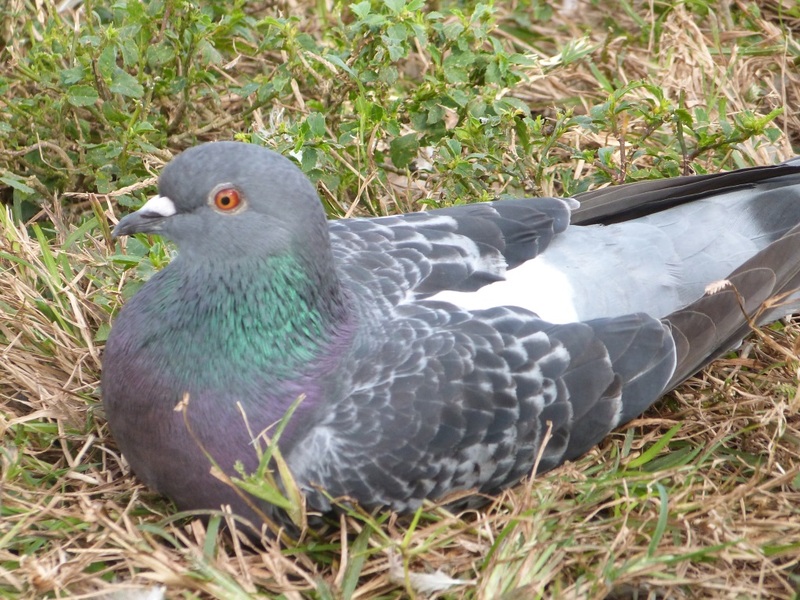 Escaped domestic Pigeons have raised the populations of feral Pigeons around the world. 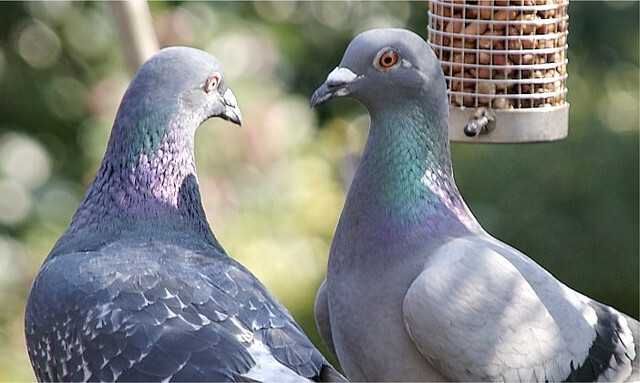 Wild rock doves are pale grey with two black bars on each wing, while domestic and feral pigeons are very variable in colour and pattern. Few differences are seen between males and females. 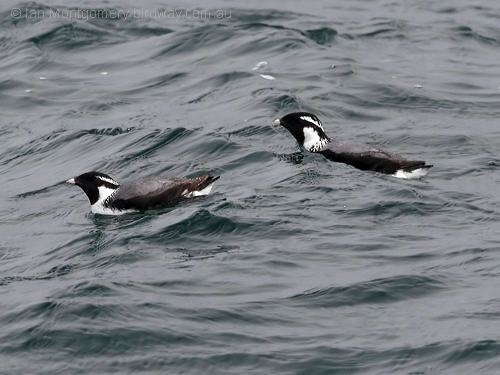 The species is generally monogamous, with two squabs (young) per brood. Both parents care for the young for a time. Habitats include various open and semi-open environments. Cliffs and rock ledges are used for roosting and breeding in the wild. Originally found wild in Europe, North Africa, and western Asia, pigeons have become established in cities around the world. 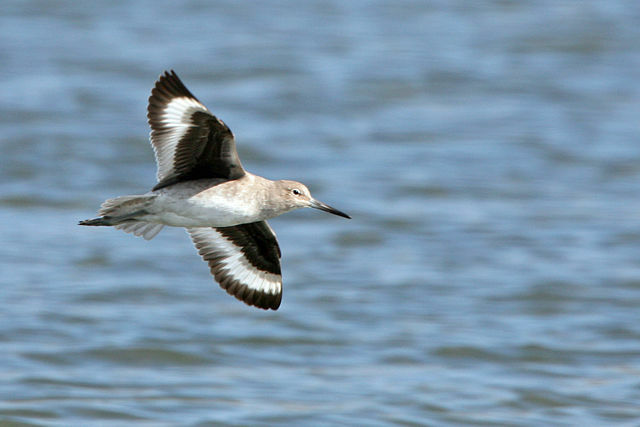 The species is abundant, with an estimated population of 17 to 28 million feral and wild birds in Europe. 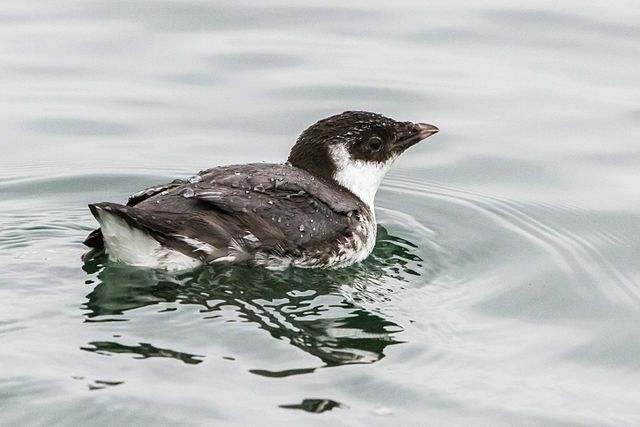 Probably one of the most recognized birds around the world. 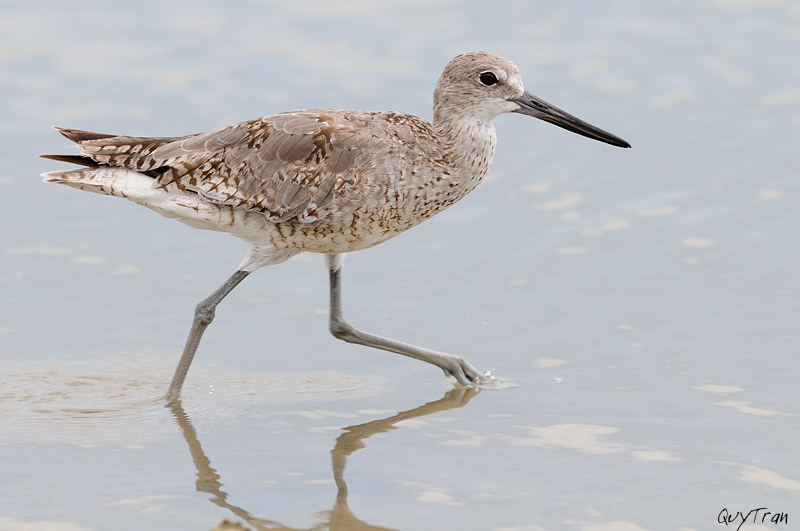 It is a mentioned in Scripture, therefore making it one of the Birds of the Bible.